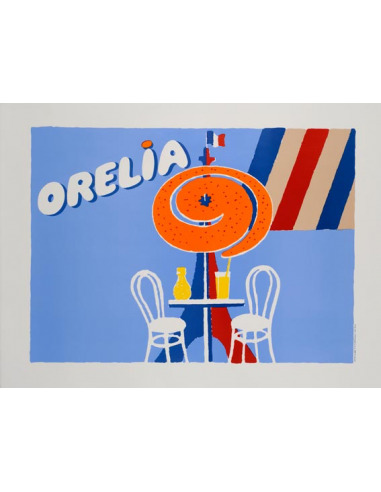 The poster is an original 1980 Perrier poster by Villemot. The poster is on linen and in excellent condition. 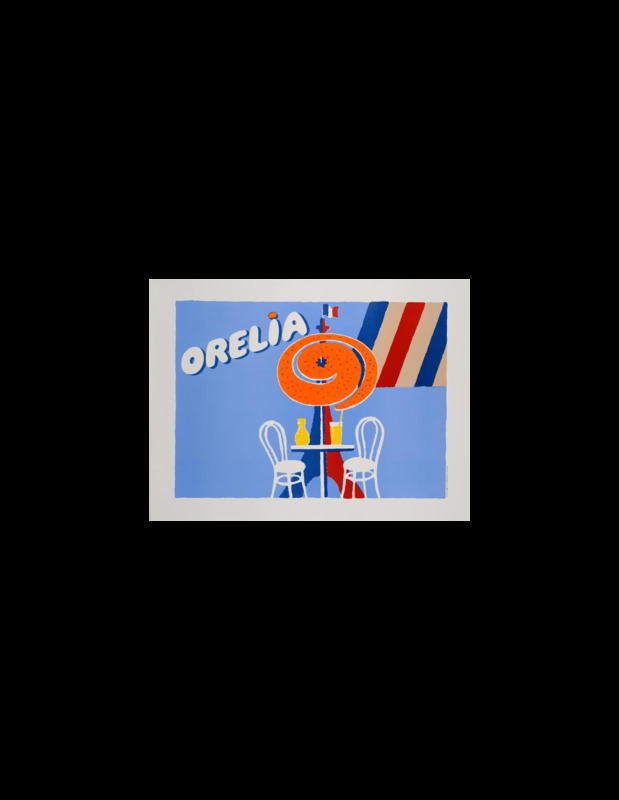 Orelia part of the Orangina group an orange carbonated soda.